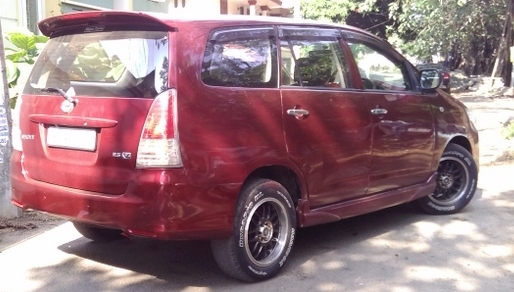 When I planned my Kochi visit, I scouted around for a self drive rental option. Popular agencies like Zoom or Myles do not operate out of Kochi. 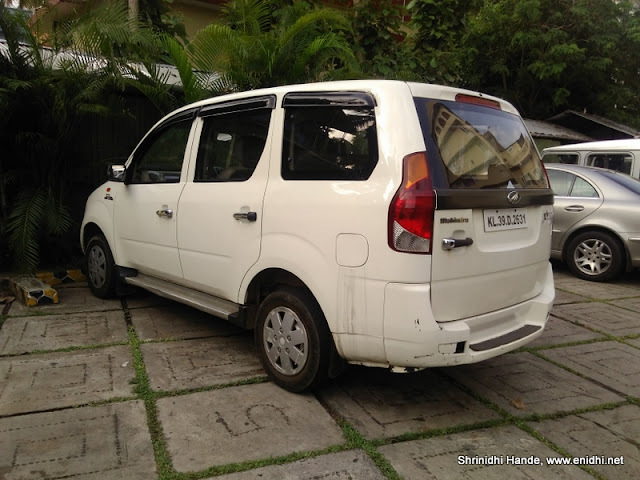 Self drive car and bike rental business in Kochi is in the hands of few small private companies who give out white board cars on rental. After scouting various options, I zeroed in on rentacarkerala.co.in But when I called them, their small cars like Santro were sold out and I was told Fiesta is available. I was told it is old but in good condition. When I asked if they can block it for me, I told on my face "We prefer 3 days or longer bookings, can't commit on 2 day bookings. We will let you know previous day if it can be provided" . That didn't sound right. Their airport pickup/drop was Rs 3000 extra which was just too much. For our hotel that is 2.5 kms from their garage, Rs 1000 was demanded. It took me 50 Rs in auto to go there instead. I researched further and identified a few two wheeler rental agencies. After speaking to one of them, decided to try a Bajaj Avenger for Rs 600 a day. But on the night of my arrival, it rained. Even next morning it was raining a bit and sky was cloudy. Kochi was otherwise very hot and friends advised against renting a bike, which made sense. Bike will be very inconvenient if it rains or when temperature is too hot. So on Saturday morning I called the rentacarkerala to check if the fiesta is still available. It was and i was asked to collect it from their office near a restaurant Alibaba and 41 dishes in Panampilly area. It was about 2.5 kms from Barath hotel so I went there in an auto. The fiesta shown to me had lots of dents and scratches all over, along with torn seats and poorly managed interiors, had a massive 1.1 lakh kms on the odo but it seemed to be working fine when I tried it. Rental was Rs 1500 per day. I had to give an original ID (PAN Card), 2 cheque leaves and two days rental amount in advance. The car was almost dry with just about 12 kms worth fuel remaining. Somewhere on the way, some 7 kms after Cherthala, on the banks of Vembanad lake, we stopped for tender coconut. When I tried to start the car again, car won't start. I realized that the contact between the metal rod of the key and the black plastic holder has come lose. When I turn the black part, only it would rotate. The metal part which is inserted inside the steering column would not budge. Thankfully it was day time and there were vehicles on the road. Nearest town was Cherthala, 7 kms away. So I decided to take an auto to a duplicate key maker, who might be able to fix it. Hailed an auto and requested him to take me to a key shop, which he promptly did. At the key shop I was told that duplicating this kind of key would take 2 days and I should try at a welding shop to get it welded to another piece of metal so that instead of existing plastic mold housing of the key that has turned lose, a more firm handle will be available using which ignition can probably be started. I informed the rental agency of the problem and told them that I am trying to get it fixed which if doesn't work I will need help. Auto driver generously took me to a gas welding shop where I could get the said welding done. With that I went back to the car and tried to start, but the car won't budge. May be it considered the new modified key as a duplicate and my attempt to start the car as an attempt to steal it. Modern car keys are made electronically secure to safeguard against mechanical duplication. This one was 5-6 year old car and at that moment I couldn't think of any better alternative. Lost more than an hour in the entire process and had to spend close to Rs 500. With all options out,called the rental agency who agreed to send a replacement. But that would take about 2 hours minimum. So we stopped an empty taxi heading towards Kumarakom and reached there. To kill time while our replacement car arrived, took a boat ride. Rest of my trip went without any incidents. I dropped the driver who had bought the replacement car at the spot where we had parked the Fiesta. We couldn't afford to stop there and wait what happens to it or how it gets fixed. My guess is he drove back using the second key of the car or got a mechanic to fix it. The car charger in xylo wasn't working properly so we had trouble recharging the phones. 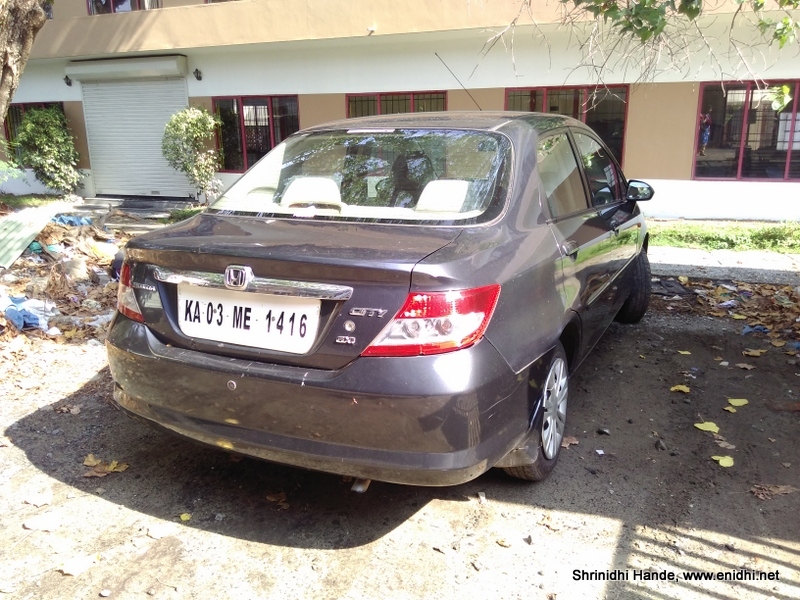 Below: Rentacarkerala's other cars that I saw- Innova and Honda city- both are pretty aged cars. City is reportedly cheaper than Fiesta at about Rs 1300 per day. Overall, will I rent from Rentacarkerala again? Mostly I will. There are not too many alternate options in Kochi and in the above situation, agency people have done whatever they could or should have done under the circumstances. I lost about 2 hours of my holiday time and 500 Rs extra but was able to execute rest of the trip as per plan. Now I have a new failure scenario to consider before planning the next road trip. So I don't hold anything against them. But of course if I am planning very long drives, I will think twice as most of their cars seem to be pretty old.